Pedagogy is at the heart of teaching and learning. Preparing young people to become lifelong learners with a deep knowledge of subject matter and a broad set of social skills requires a better understanding of how pedagogy influences learning. Focusing on pedagogies shifts the perception of teachers from technicians who strive to attain the education goals set by the curriculum to experts in the art and science of teaching. 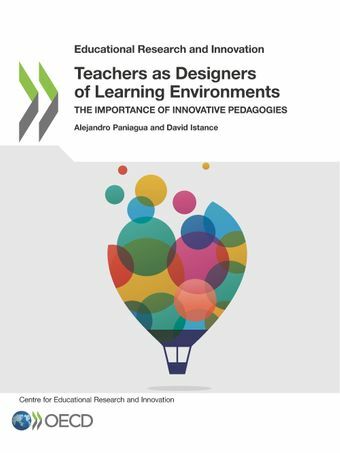 Seen through this lens, innovation in teaching becomes a problem-solving process rooted in teachers’ professionalism, rather than an add-on applied by only some teachers in some schools.Teachers as Designers of Learning Environments: The Importance of Innovative Pedagogies provides a snapshot of innovative pedagogies used in classrooms around the world. It sets the stage for educators and policy makers to innovate teaching by looking at what is currently taking place in schools as potential seeds for change. At the heart of all of these approaches is a sensitivity to the natural inclinations of learners towards play, creativity, collaboration and inquiry. To illustrate how teachers use these innovative practices, the publication presents examples from 27 national and international networks of schools.It is now generally acknowledged that the quality of an education system cannot exceed the quality of its teachers. This volume goes a step further to argue that a teacher cannot help students meet new educational challenges by continuing to draw on a limited and perhaps even inherited set of pedagogies. And here lies the genuine importance of innovative pedagogies. What does innovation in pedagogy look like?